Few things taste and smell better than a batch of freshly popped popcorn. 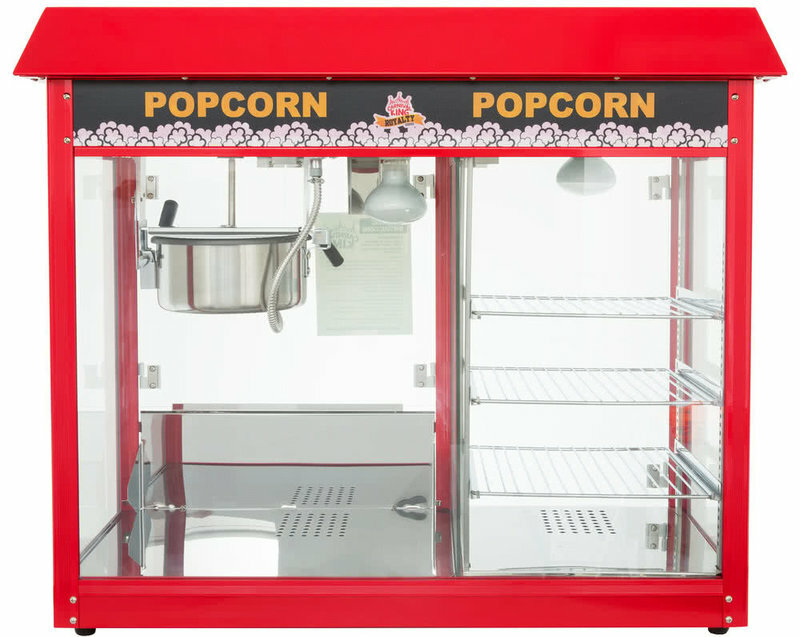 There are several great popcorn machines you can choose from as well including an air popper, a stirring popcorn maker, and a larger popcorn machine. You'll get great results with all of them, but they all have slightly different instructions. A stirring popcorn maker typically comes with a metal or a ceramic "E" with a larger lid that is dome shaped and can double as your bowl. Start by turning the bowl upside down and securely attach it to the base of the unit, and lock it in place to prevent a spill. Add your popcorn kernels and oil into your device. Many of these products come with a detachable portion at the lid's center to make adding these two things quick and easy. Open this detachable portion and add your ingredients. Don't use butter as it tends to burn. You want to use either canola oil, coconut oil, vegetable oil, or sunflower oil. If your model has a reservoir for butter, you can add it there. This will drip over the popcorn as it pops for an even coating, but it won't be in long enough to burn. You can also soften it in the microwave prior to using it. Close the lid, plug it into your outlet, and switch it on. Some brands have an On switch while others will start automatically. You should see the arms turning and stirring the popcorn as it cooks. Your cooking time will vary depending on the type of popcorn kernels you have (and their freshness) so listen for them to start popping. This should take a few minutes, and it should rapidly pop and then die down. 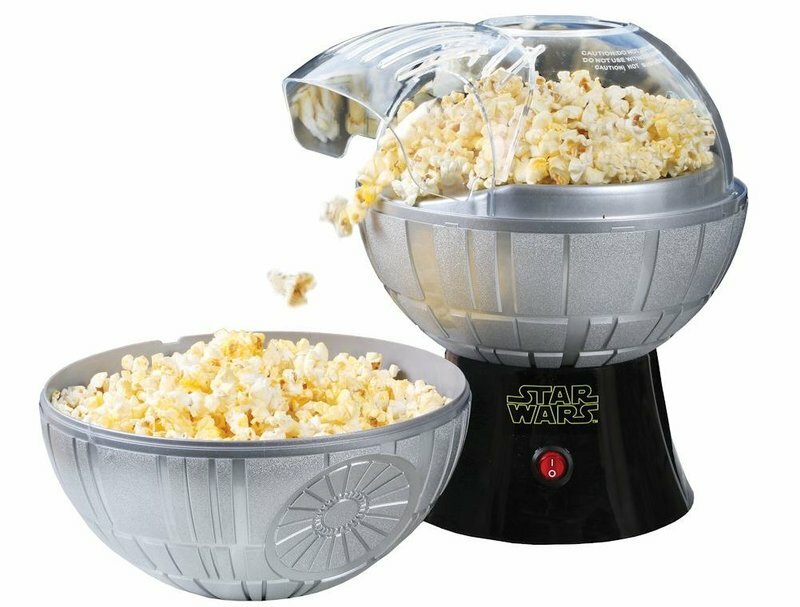 When it stops popping, switch it off and turn it over, so the popcorn falls in the serving bowl and turn it off. Season it and enjoy! Making popcorn in a hot air popper allows it to come out airy and more fluffy without the oily coating. You also choose the butter and salt levels so you can make healthier popcorn. Start by gathering all of your ingredients and plugging in your popper. Put your large bowl under the spout to catch the popcorn as it comes out. Open your popcorn kernels and measure out your desired amount. Your model may come with a measuring device, but if it doesn't, a half or three-quarters of a cup of popcorn kernels should be enough. Remove the guard and pour the kernels into the top of your device in the provided reservoir. Replace the plastic guard over the top of the popcorn kernels and cut the amount of butter you would like. Your popper may come with a measuring reservoir on the top to melt the butter, or you can melt it in the microwave. Switch your machine on and be careful not to touch the inside as it will be hot. Listen for the popcorn kernels to start popping and let them fall into the bowl. Once the popping slows, tilt the popper toward your waiting bowl and dump the rest of the popcorn in. Unplug the machine or shut it off, season your popcorn, and enjoy! Start by switching your popcorn machine on and pouring around three tablespoons of room temperature oil into the hopper. Listen for the oil to sizzle. You can test the oil's heat by placing a single kernel of popcorn into the oil and waiting for it to pop. Once it pops, you know that the oil is hot enough. This should take around a minute to get hot enough - maybe two. You can then add the rest of the popcorn kernels. Pour around a half of a cup of popcorn kernels into the hopper and close it. Close the doors as well. You should hear the popcorn kernels start to pop in around two or three minutes, and they should start to spill out of the hopper into the bottom of the machine. Once the popping slows down, you can open the popcorn machine and tilt the hopper to pour all of the popcorn out. Shut off the machine, season your popcorn, place in it the bowl or bag and enjoy it! No matter which way you make your popcorn (you can even make it without a machine! ), you will be able to enjoy fresh hot popcorn all year round. Make as little or as much as you like, and season it with your favorite seasonings to enjoy it more. Newer PostWho Makes the Best Popcorn Kernels?